Providing you with top-notch services is our main goal. Your health is our priority. 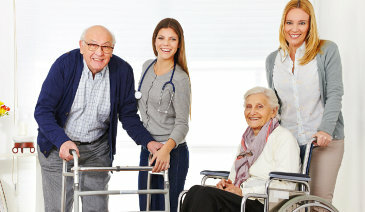 We at Angel Care are dedicated to making sure that elderly patients are given utmost care and attention to help them recover from their injuries and diseases. Through our skilled, well-trained, and dedicated professionals, you can assure that high-quality healthcare services are accessible in the comforts of your own home. We are also more than happy to cater facilities that are understaffed. Through our staffing services, we know we can be of big help in making your load easier to accomplish. To know more about us, you can continue browsing through our website for more details. Meet our skilled and well-trained staff members who are prepared to assist you with your activities. Looking for a career in the healthcare industry? Come join our dynamic team! For accuracy purposes, let our staff assess your health needs.